Deliver your materials clean and dry even when grey skies are in the forecast. 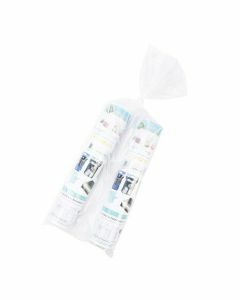 Our NPB30 newspaper bag measures 7 1/2" x 21" and is perfect for newspapers, flyers, and catalogs. These bags are 0.8 mil, orange tinted, and come bundled and attached to a cardboard header. Perforated for easy tear-off. Bags also work well for pet waste pickup. 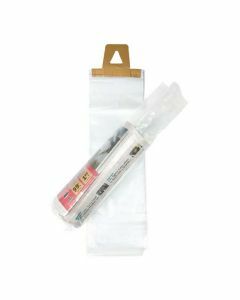 Protect newspapers, catalogs, and calendars from inclement weather with our NPB3 lightweight delivery bags. 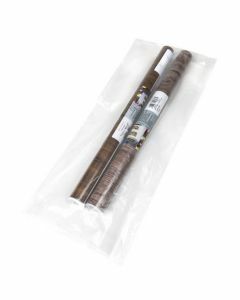 These 7 1/2" x 21" LDPE bags are clear in color and are attached to a cardboard hanger. Bags are perforated for easy tear-off. The bags are 0.8 mil thick and side sealed for durability. Keep materials safe and dry for your customers. 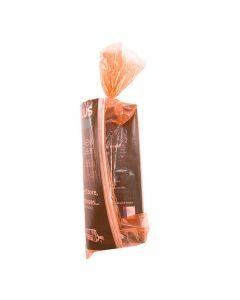 Our NPB1 newspaper delivery bags measure 9" x 21" and are bundled and attached to cardboard hanger. Ideal for newspapers, flyers, and catalogs. Simply load into hanging bag and tear-away from perforation. These 1.2 mil bags are thicker than our NPB2 bags, which may be especially helpful for inclement weather.